Transform your whole approach to web-based selling. With the Engage conversational commerce platform, you can convert online prospects into leads by delivering the immediate, highly personalized sales experience people want — exactly where and when they want it. With our proprietary re-engagement technology, you can surface the same sales agent a visitor has talked with previously, even when the customer visits three hours, three days, or three weeks later. Only Engage offers you this ability. It allows you to take an extra step in delivering a valuable high-touch level of service to your customer, ensuring continuity of the sales experience and helps build the bond between customer and agent. Installing Engage on your digital properties is a breeze. Within minutes, and with a single line of code, you can embed a conversational widget that helps your prospects and customers to start and maintain digital relationships with all your customer-facing team members. People still buy from people they know and trust. Your staff has tacit and experiential knowledge, personality, and personal selling skills that offer prospects and customers an incredible experience. Engage helps you unhide your people and get them interacting quickly. Installing Engage on your digital properties can help you improve visitor-to-lead capture conversion ratios as much as 300%. Fact: introducing your qualified team members to visitors earlier in the engagement process reduces site abandonment and lead decay rates.  Engage serves many different industries. The one thing they all share in common is that relationships with prospects and customers is paramount. Learn how Engage can give you achieve competitive differentiation. Try Engage for free for two weeks and started experiencing the difference it can make. You’ll quickly learn that improving your visitor-to-lead conversation is a snap.